While half of the world might be in the midst of winter right now, it’s been a busy week for us here at Speedhunters. With Tokyo Auto Salon and Autosport International happening last weekend and the North American International Auto Show going on right now, there’s been a steady stream of news and info to get us excited. Most of the motorsport world, however, is still deep in hibernation. 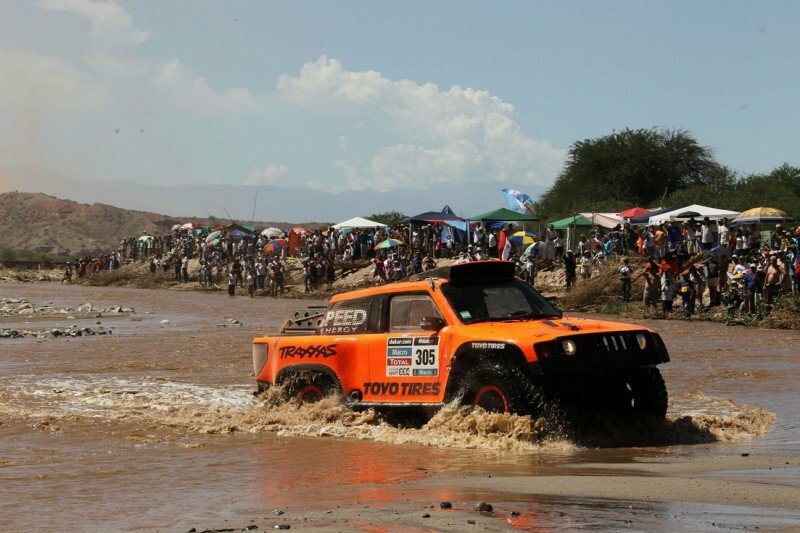 There is one notable exception though – the 2014 Dakar Rally which is currently making its way across South America. Not only is Dakar the first major motorsport event on the yearly calendar, but it’s still one of the most amazing spectacles in racing. 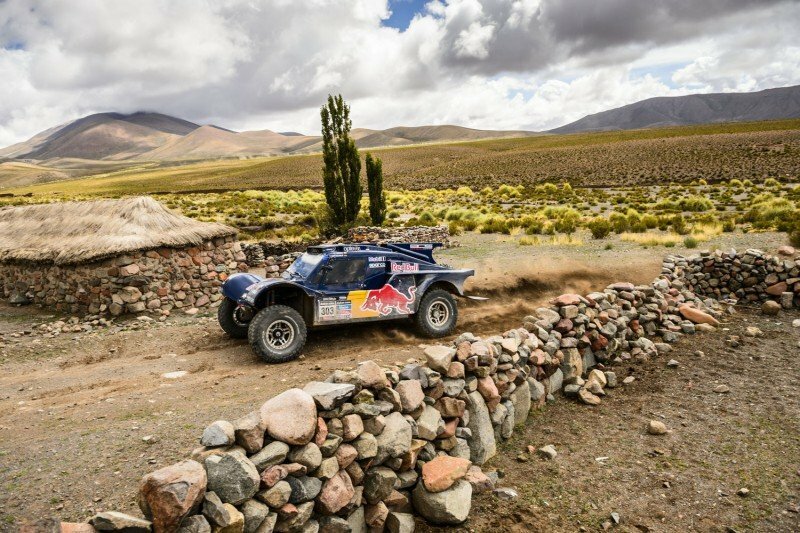 While we’ve yet to send a Speedhunter out to tackle the monumental task that is covering Dakar, we’ve been able to keep track of the action via some of the amazing photos from the various teams competing in this year’s event. 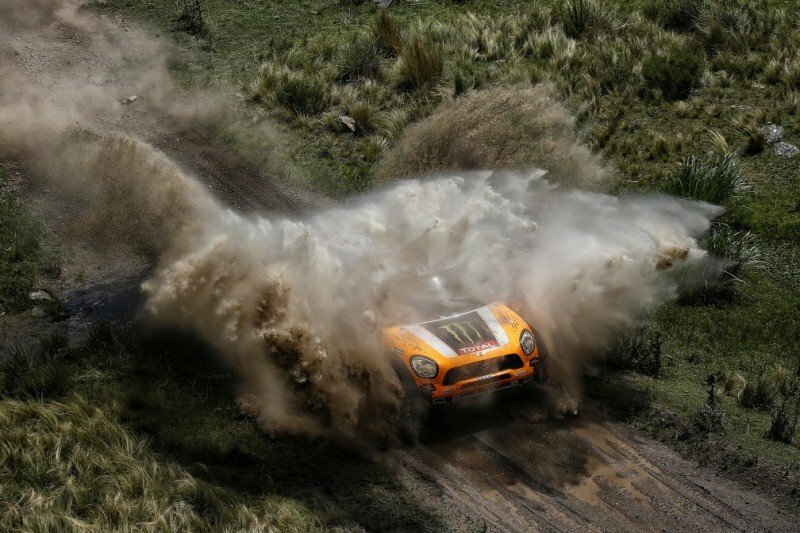 With Dakar 2014 currently running just past the halfway point, we figured now would be a perfect time to quickly catch up on some of this year’s happenings and also just to enjoy some of the amazing imagery that always comes out of this event. 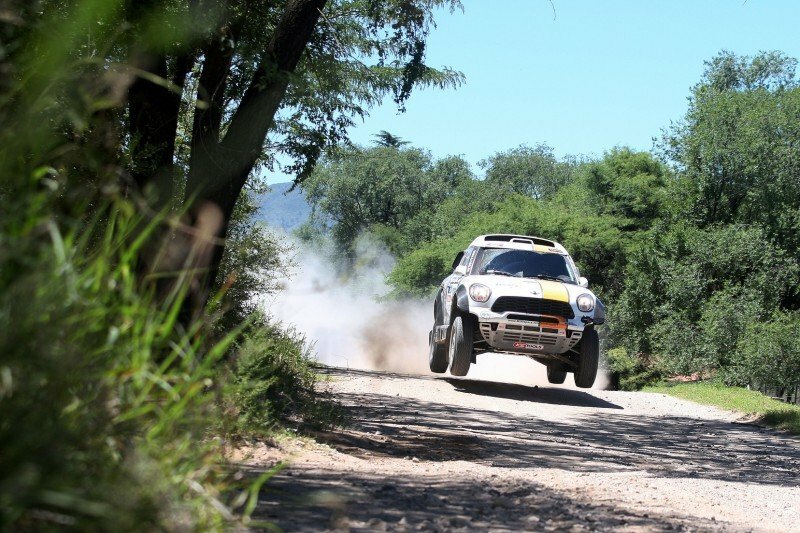 For the car class, the 2014 edition of Dakar spans three countries and 9,374 kilometers on a route that runs from Rosario to Valparaiso on the continent’s west coast. With canyons, forests, dunes and rivers to contend with, the terrain is as varied and spectacular as ever. In terms of competition, MINI has been absolutely dominant so far in the car class. 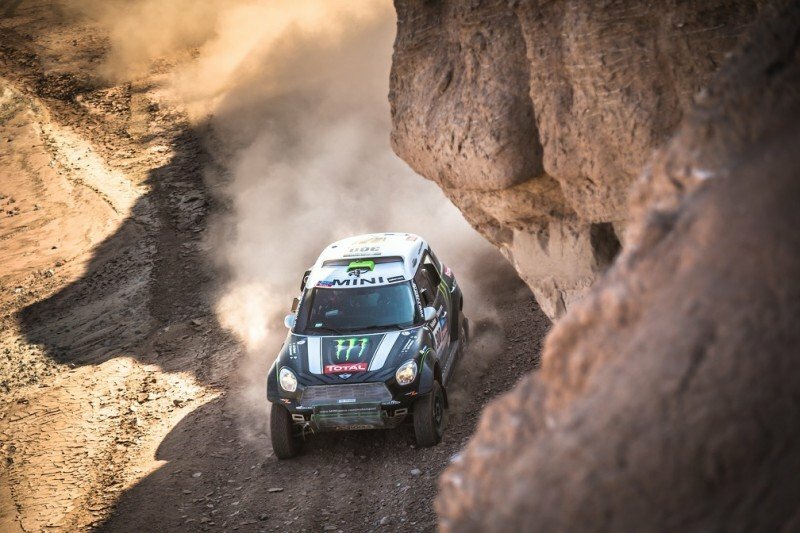 As of now, the diesel-powered MINI All4s occupy the top four spots in the overall standings, with the number one position being held by Dakar vet Nani Roma in his X-Raid-supported machine. Through nine stages, he currently holds a 12 minute advantage over the second place runner. 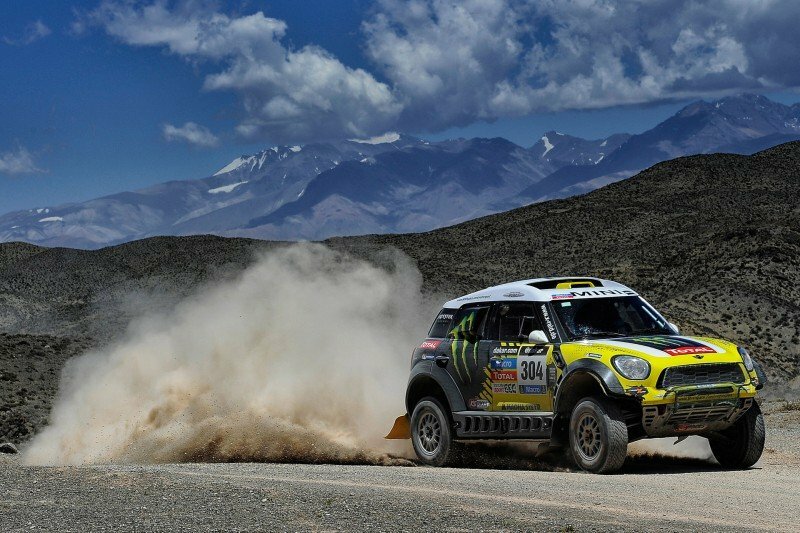 Currently running in second place is Stephane Peterhansel, one of the most successful Dakar competitors of all time and defending winner of both the 2012 and 2013 events. With several stages left to go, there’s still plenty of time for Peterhansel to get back in front to make it three in a row. Another name that should be quite familiar to to followers of Dakar and rallying in general is Carlos Sainz, who this year is driving a Red Bull-sponsored SMG powered by a GM V8. 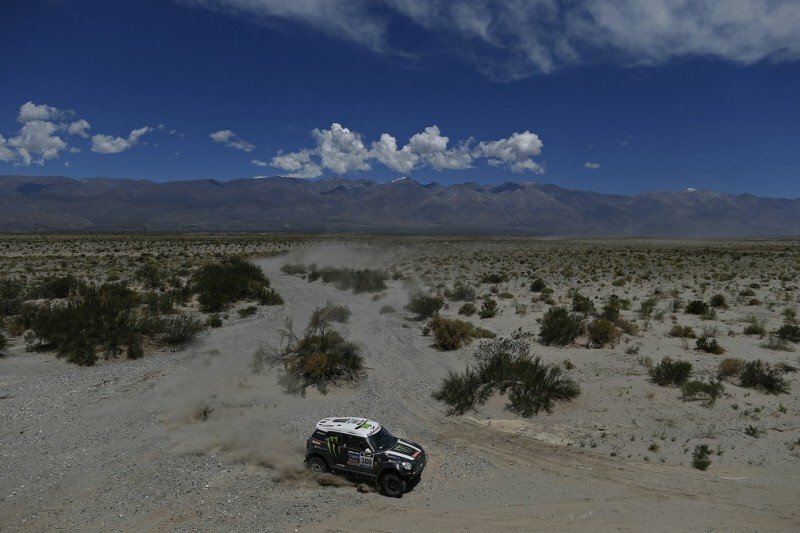 Carlos is currently in eighth position overall, with about three and a half hours separating him from the leader. Speaking of famous rally names, a certain Sebastian Loeb stopped by the pits during the recent off day to chat with fellow Red Bull-sponsored drivers and to get a look at how things are done during Dakar. After tackling Pikes Peak, is there a chance Loeb could find himself competing in Dakar in the future? Another of the interesting storylines from this year’s event is the American contingent. 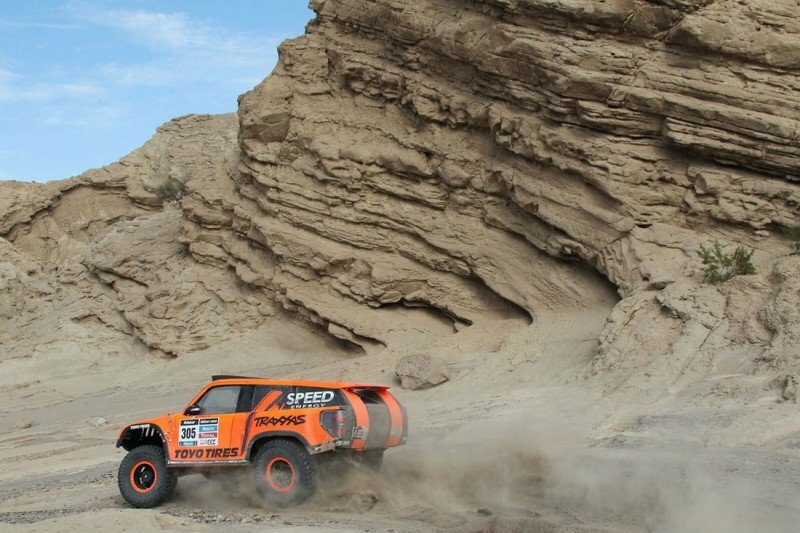 This year, Dakar vet Robby Gordon is back again driving his Team Speed Hummer. Unfortunately, luck never seems to go Robby’s way during Dakar, and he’s currently in 23rd position, some nine hours and 40 minutes behind rally leader Roma. Joining Robby Gordon as part of the USA team is veteran off-road racer BJ Baldwin. 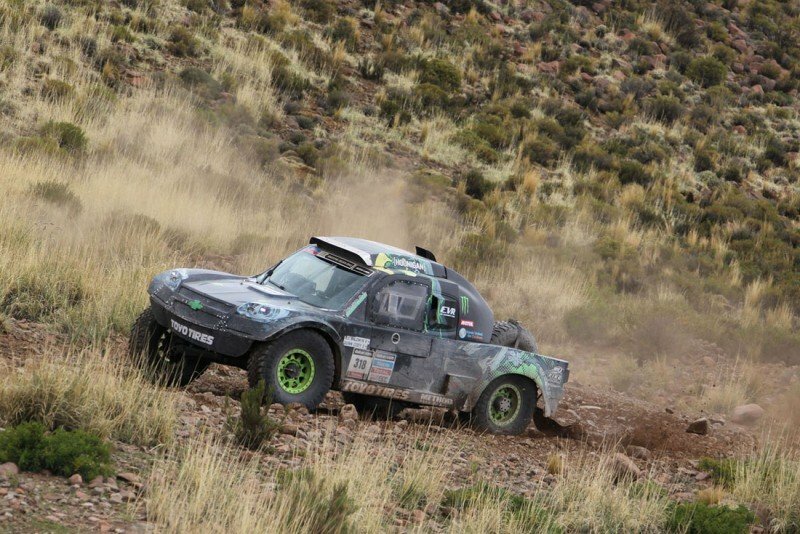 With seven off-road championships under his belt, BJ knew the next challenge would be Dakar, competing behind the wheel of a V8-powered Chevy. 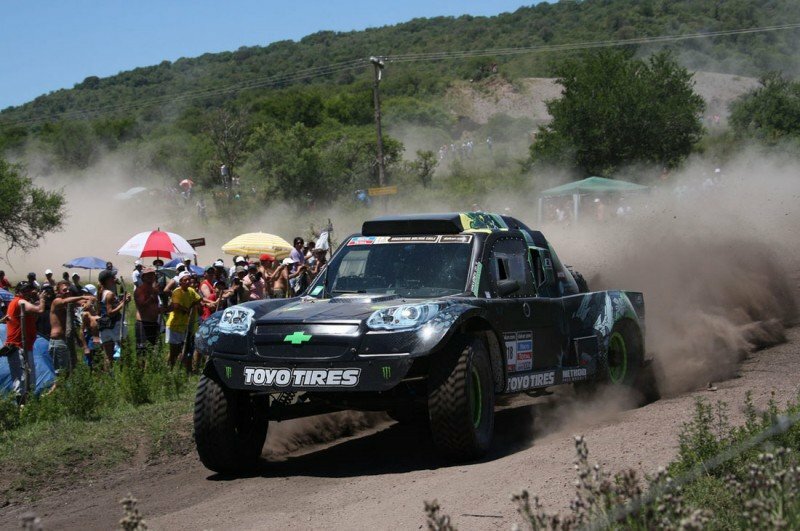 Of course the Dakar Rally is a completely different beast compared to events like the Baja 1000. 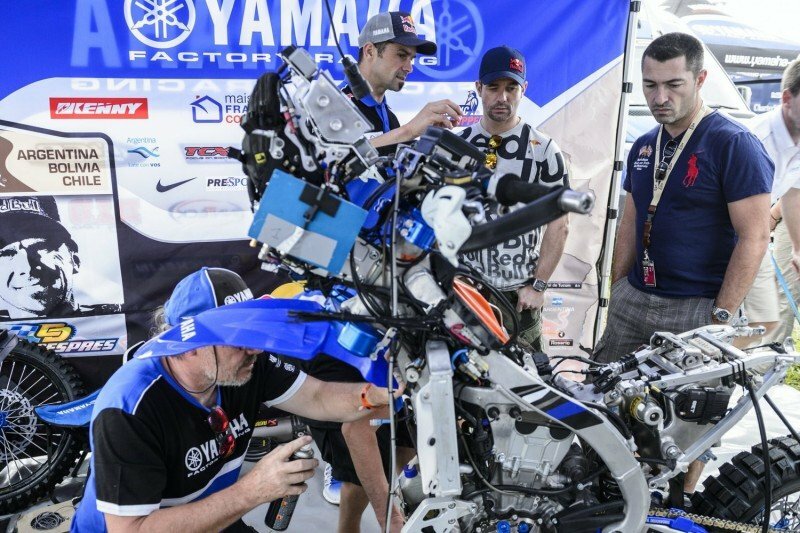 BJ has learned first-hand just how challenging Dakar can be, and he’s currently listed in the 29th position in his class, with a 14-hour time deficit to the leader. Regardless of their eventual finishing result, both Baldwin and Gordon add a very unique layer to the competition field. In this video released by Toyo Tires, you can see some of the steps they took to prepare for this year’s event. 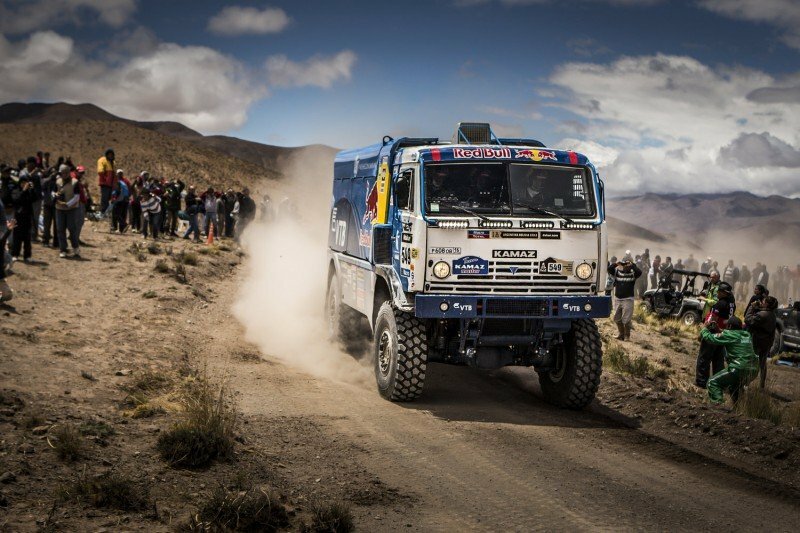 While they might not have quite the same following as the cars, the truck class at Dakar is simply something to behold. How can you not love the sight of one these massive rigs ripping across the terrain? To me it’s one of the most fascinating parts of the event. 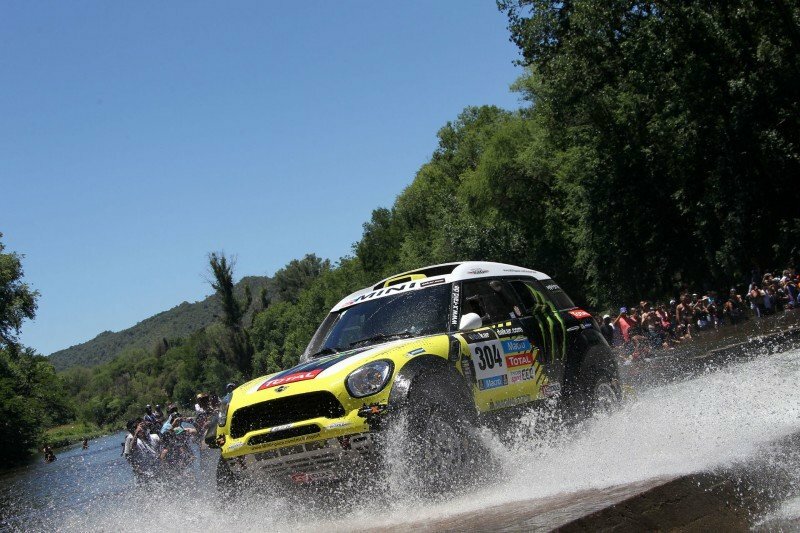 With four stages left to go, there’s plenty that can still happen before the rally reaches Valparaiso on January 18th. 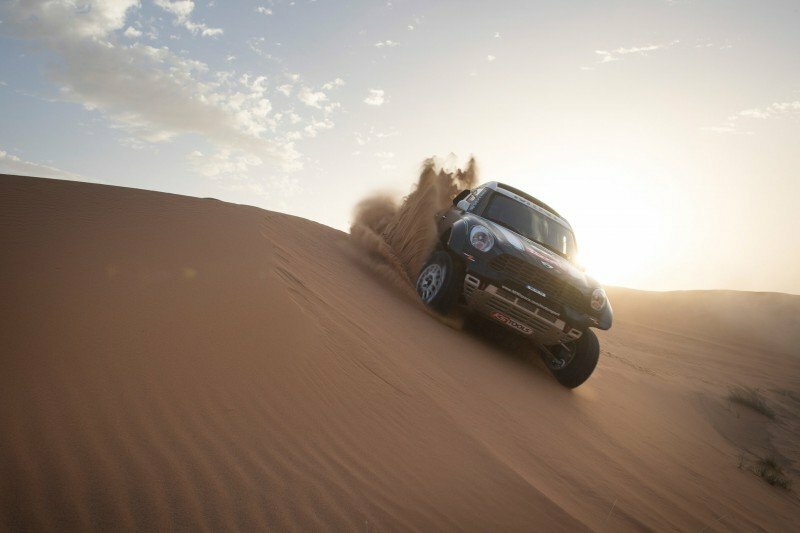 No matter who winds up on top, Dakar is and will always be a motorsport adventure unlike any other in the world. Now we just need to find a way to get Larry Chen over there so he can work some of his photographic magic in South America!